Barret Jackman’s first career playoff goal, a wrist shot from the top of the left circle with 50.4 seconds remaining in regulation, gave the Blues a 2-1 win against the Los Angeles Kings and a 2-0 lead in the best-of-7 series. The Kings got a first-period goal from Dustin Brown as the Blues were called for four penalties in the first 20 minutes. That power play goal was the first for the Kings in St. Louis since 1998. 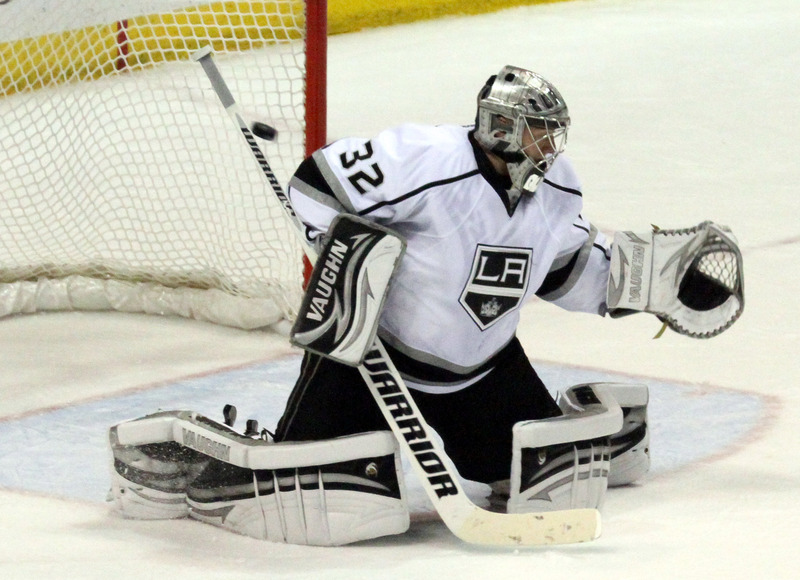 Jonathan Quick stopped 23 shots for Los Angeles, which was 19-1-2 in the regular season when leading after two periods, but that quickly changed as Patrik Berglund tied the game 3:44 into the third when he tipped a pass. Jackman’s goal was one that Quick said he should have had and he blames himself for his club’s 2-0 deficit. Brian Elliott made 28 saves for his second win as the Blues are halfway to their goal of knocking off the defending Stanley Cup Champions. The series shifts to L.A. for games Saturday and Monday.